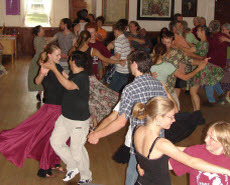 Contra Dancing is fun, simple, community dance. It may remind you of dancing you’ve seen in Little House on the Prairie or Jane Austen type movies (don’t worry- no costumes are required). There are no “steps” to learn – everything is done with a simple, rhythmic walking step. It’s helpful to know which hand is right and which is left, but not absolutely necessary. There is a leader, or caller, who will teach the dance first and then, once our live band starts playing, will call out the moves as they happen with the music. Each dance consists of a series of easy moves that take about 30 seconds to complete, then they begin again. One of the joys of this kind of dancing is the way the dance moves you along to meet nearly everyone on the floor in the course of an evening. You smile and swing your neighbor, join hands, circle left, do si do and swing your partner. And everyone has a fine time. You’ll be amazed at the smiling faces all around you. The Lansing dance community is friendly and would be pleased to welcome you to the dance floor. NOTE: You don’t need to bring a partner. We switch around each dance (there are 10-12 dances over the course of a three hour evening), so there’s always someone new to dance with. Dress for active movement. Don’t wear a sweater that you can’t remove, because you will get warm. Men tend to wear short sleeve shirts and light pants (jeans are rather restrictive) or shorts (even in the winter). Women wear short sleeve shirts or blouses and usually fairly full skirts or dresses. Skirts are not in any way required, but they are fun to twirl in. Most folks wear simple low-heeled, non-marking shoes for dancing. 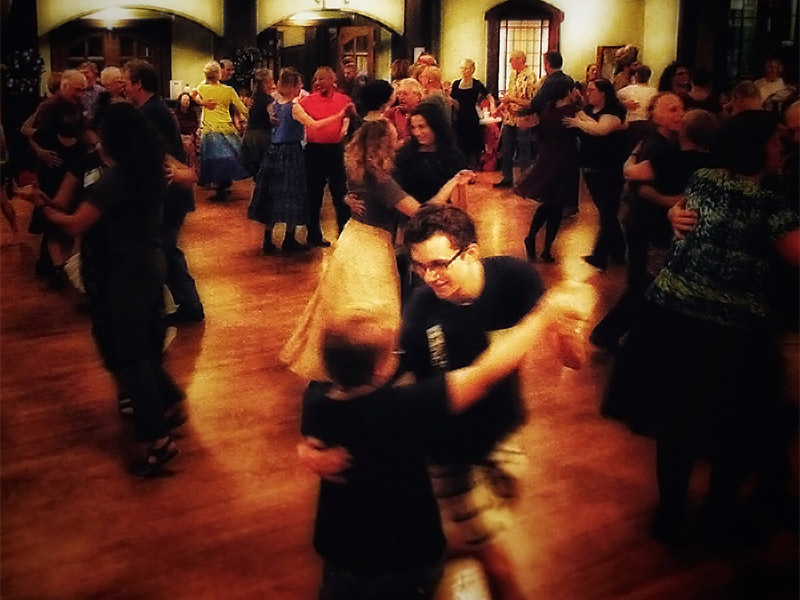 Have you been wondering what Contra dancing is, but never tried it? 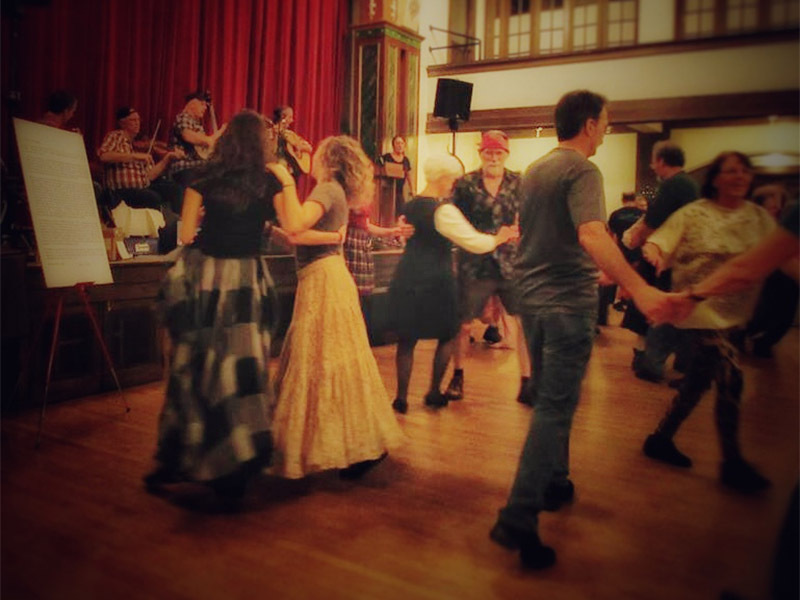 Treat yourself to an evening of traditional contra and square dances, to live music. 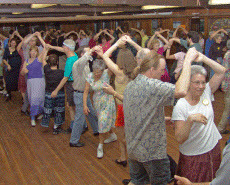 All dances are taught and callers cue the figures. Both beginners and experienced dancers are welcome. Come alone or as a couple. Dress is informal. 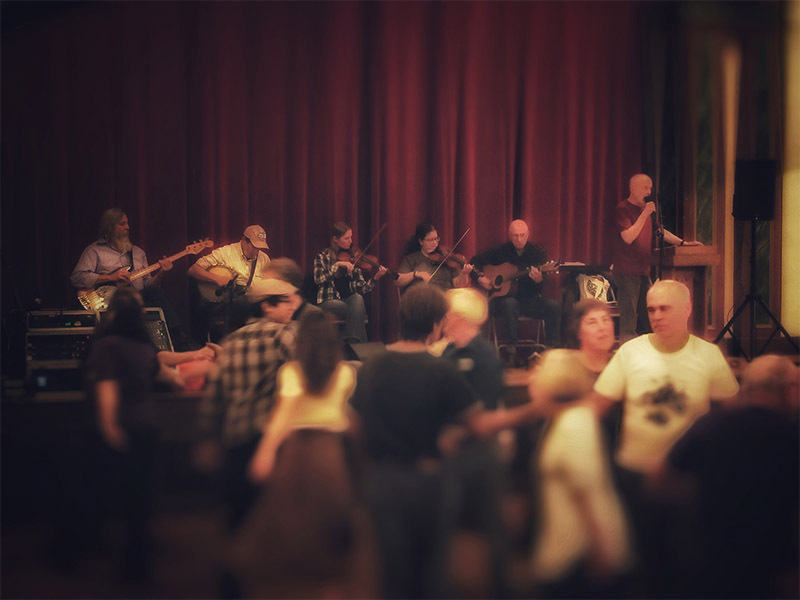 Our monthly contra and square dances are held on the first Saturday of the month October through June at the Central United Methodist Church, 215 North Capitol Ave, Lansing, at 7 pm with basic figures taught prior to the dance at 6:30 pm. 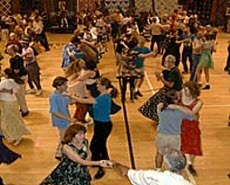 There are two contra dances held each month in Lansing. In addition to our first Saturday dances, the Looking Glass Music And Arts Association sponsors a dance on Third Saturdays. Contra and square dancing is as old as the United States. One of the contra dances still enthusiastically enjoyed, Chorus Jig, is found in books of dances from revolutionary times. Until the Second World War these dances were popular in many Michigan grange halls. However, they are not stodgy dances. Rather, they are lively and exhilarating. Some are vigorous, some more sedate. 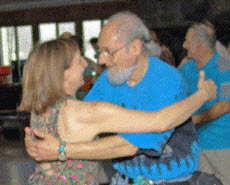 New dances are being written by people across Michigan and around the U.S. A dance evening is an opportunity to meet new people, flirt with your partner, enjoy Michigan’s finest dance music, exercise your muscles, relax and have a wonderful time. All the dances are walked through and the figures taught before dancing. Some of the basic figures you may recall from high school are do si do, ladies chain, and promenade. A springy walking step is used throughout. The callers cue the figures to the music to remind the dances what to do next. Inexperienced dancers should come early in the evening when the figures are introduced. The dances are chosen to be fun for both novices and advanced dancers. Find more about Contra Dancing from Les Francey and Farrell Boyce, Hamilton Country Dancers and Gary Shapiro.